With warm weather and blue sky overhead, summer is the most anticipated time of year for those who seek refuge in the out of doors. However, the recreation opportunities of summer aren’t without their side effects, especially for our canine friends. Sadly, heat stroke, a severe form of hyperthermia, claims the lives of many dogs each year, while less extreme cases still cause serious harm. The good news is, by taking certain precautions and keeping your dog’s temperature in mind, any heat-induced stress your pet may experience can largely be avoided. Before we dive into tips on keeping your dog nice and cool this summer, let’s look at some facts and figures about what causes heat stroke in dogs and the symptoms to watch out for. How is Dog Heat Stroke Caused? When a dog is exposed to extreme heat, its body temperature can rise well beyond the normal range—around 103 degrees according to Petsmd.com—entering a state of hyperthermia. If exposed for prolonged periods of time, the dog’s natural mechanisms for heat dissipation cannot keep up, often resulting in organ failure, and eventually death. While a dog can get heat stroke from overexposure to heat in a wide range of scenarios, by far the most common is being left in a parked car on a hot day. And here’s the kicker: it doesn’t even need to be that hot of a day due to the simple fact that temperatures inside a car can rapidly rise to dangerous levels. 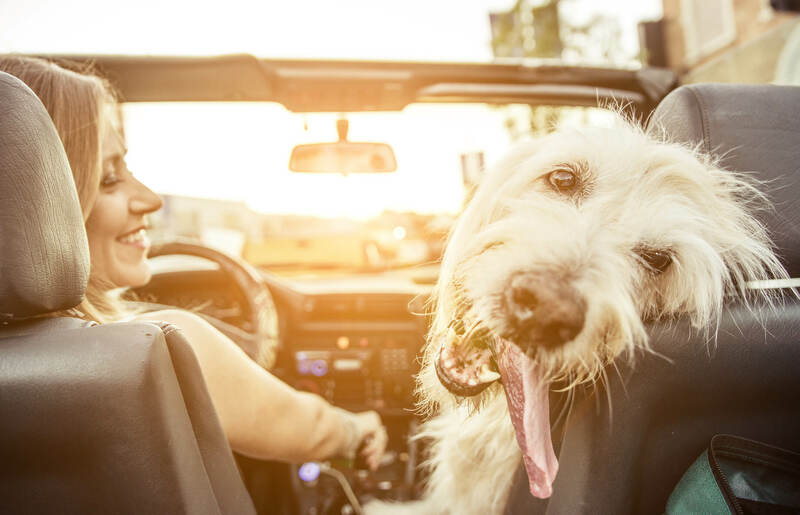 According to an article by the American Veterinary Medical Foundation, the temperature of a vehicle interior on an 80-degree day can rise to 123 degrees in only 60 minutes. And the temperatures don’t stop climbing from there. Add in the high humidity levels of summer, effectively increasing the heat index, and you have a recipe for heat stroke. You might think cracking the windows will help, but several studies show that it doesn’t make much of a difference. If you suspect even slightly that your dog might be suffering from heat exhaustion, contact your veterinarian immediately. 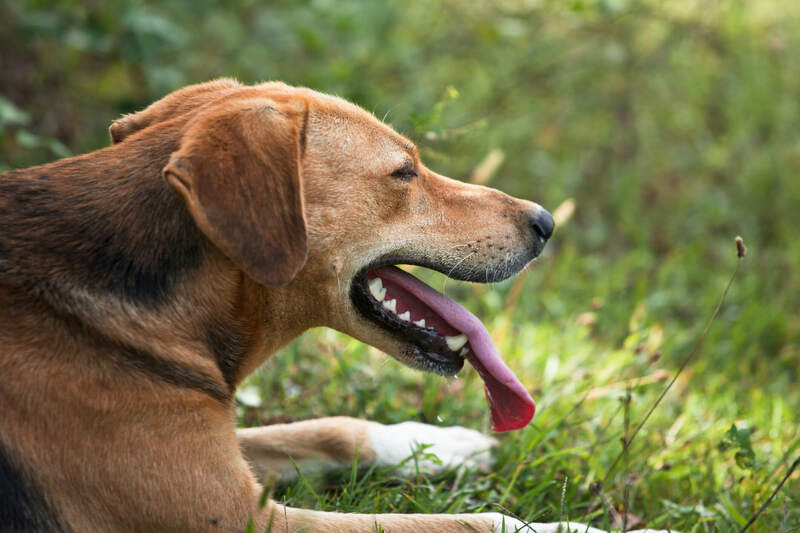 Some of the most common signs that your dog is overheating include excessive panting, dehydration, drooling more than usual, a rapid heart rate, and reddened gums. For a complete list of heat stroke symptoms in dogs, this article published on PetMd.com should help you spot early warning signs. Again, consult your vet immediately. Preventing heat stroke in your dog really comes down to keeping your pup as cool as possible whenever exposure to high heat is a risk. This can be a challenge if you live in or travel through regions that see extreme heat, but by taking the precautions outlined in the tips below, you’ll be ahead of the curve when keeping your dog cool this summer. Plenty of water — Heat exhaustion and dehydration go hand in hand, so it’s important to keep your dog well hydrated. Keep an extra-large water bowl or several smaller ones throughout the house so your dog has plenty of opportunities to drink. If traveling, offer your dog lots of water at every stop and make sure they drink up. Avoid direct sun exposure — When planning trips in the dead of summer, try to choose adventures that have plenty of shade coverage and limit direct exposure. For example, if you’re deciding between two hiking trails, go for the path that winds through the old-growth forest rather than through a desert canyon. Bring your own shade — If you’re setting up camp on the beach for the weekend, pitch tents and awnings to provide plenty of relief from the sun for dogs and humans alike. Sticking window screens on your car vehicles can also help block the heat of the sun beating down on your pup while en route. Cut back on exercise — Most of the time, your dog likely has loads of energy that needs to get burned up through activity. But in extreme heat, your pup’s body will be working so hard to stay cool that additional exercise will only add to the stress. Let them take the day off and hang out. Plan walks in the early morning or late evening — You and your companion will find sweet relief in the coolest parts of the day, particularly before sunrise and after sunset. 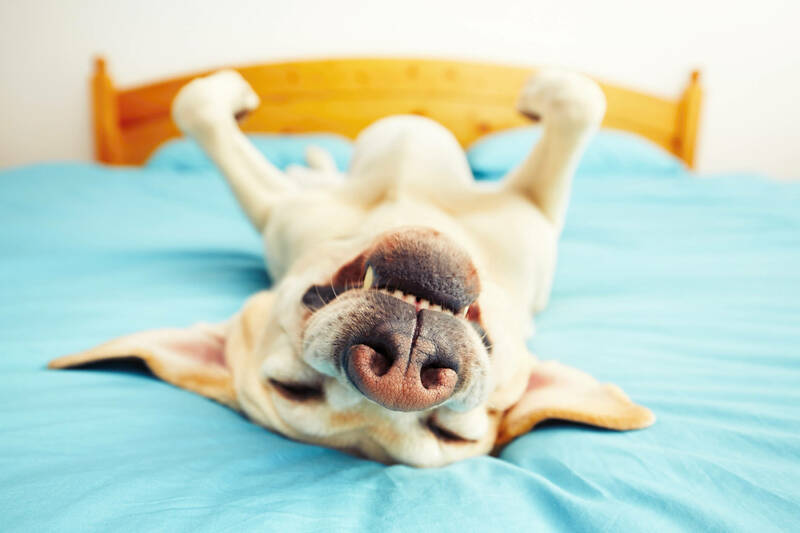 Yes, you’ll need to set your alarm clock earlier, but your dog’s well-being is worth it. 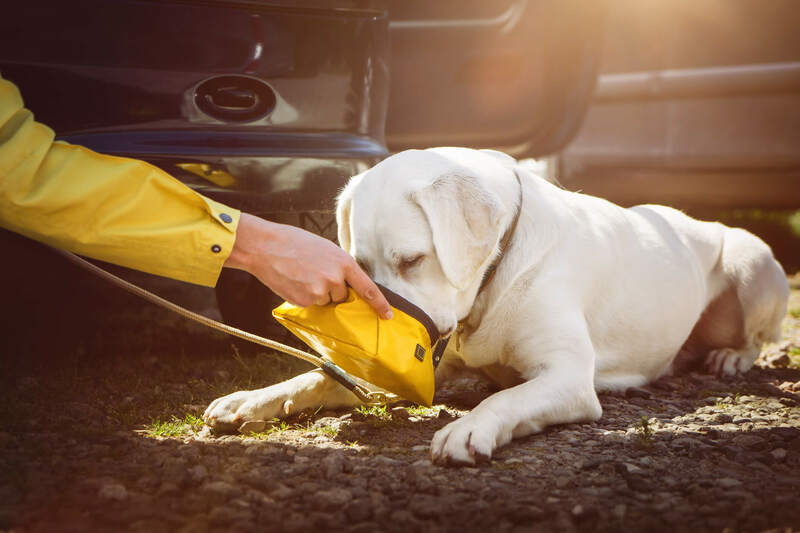 Invest in a cooling pad — Whether at home or on the road, products like the Cool Pet Pad aren’t a perfect solution, but can help drop your dog’s body temperature to cope with the heat. Keep your dog indoors during peak heat hours of the day — Depending on where you live, midday summer temperatures easily soar past 100 degrees and during these hours keeping your buddy in the comfort of your home’s air conditioning is the smart thing to do. 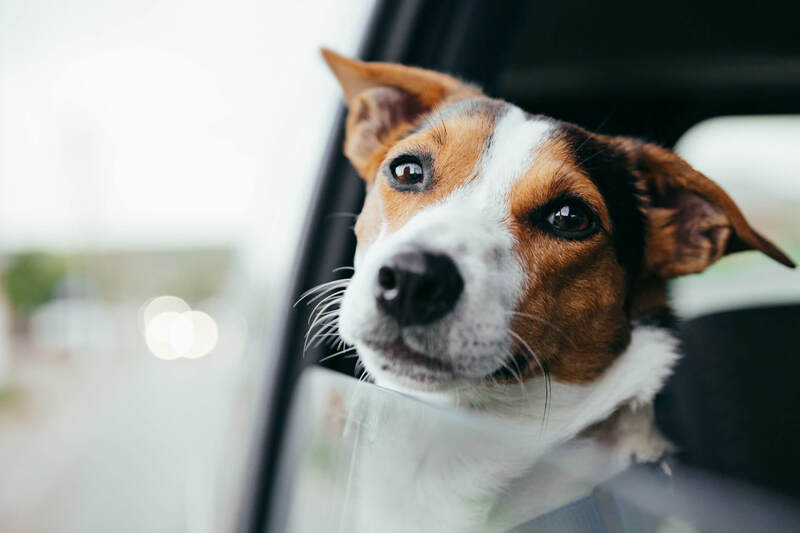 Remember, never leave your dog in a parked vehicle — even if it’s “just for a few minutes with the windows cracked.” Given how quickly a car’s interior temperature can rise, it simply isn’t worth the risk of losing your beloved pet. Instead, get into the habit of leaving your dog at home, as hard as that may be. When you’re on the road with your dog, keeping him cool and comfortable can be more of a challenge, but with the right preparation, it’s definitely doable. Giving your dog its own dedicated space in the back with the help of a Travall Guard and Divider and setting up his area with a cooling pad and shade screens will go a long way in helping you and him have many exciting, heat stroke-free adventures this summer. So, let’s get your car ready by searching our catalog today to find your vehicle-specific Travall Guard and Divider!